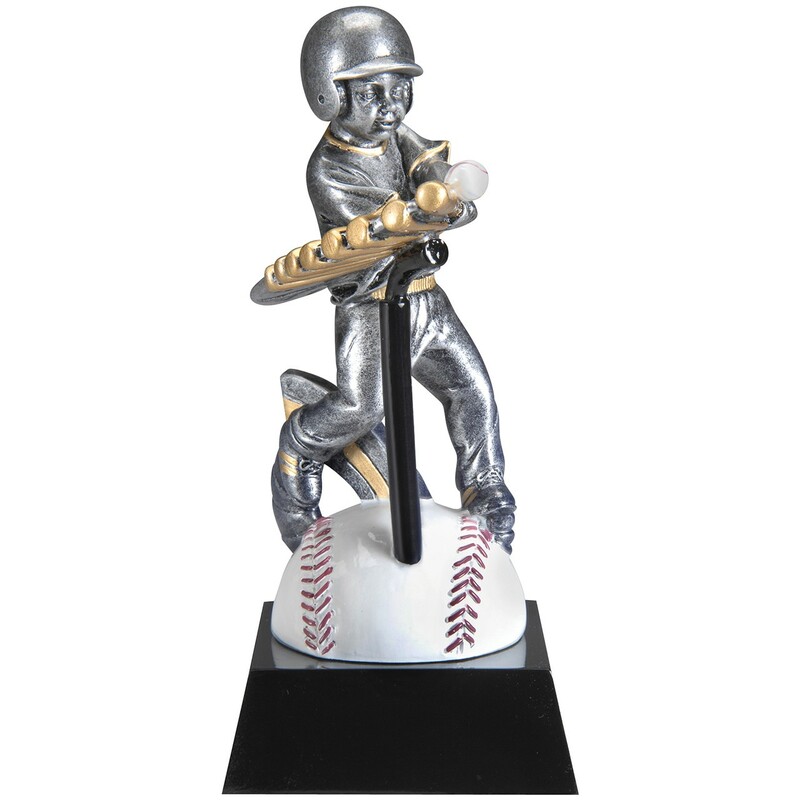 This cool Boys Home Run T-Ball Trophy is the perfect choice for your T-ballers! Created out of sturdy resin, this award is made to be handled. With a silver and gold antique finished figure hitting a ball in 3D fashion, this award is visually stimulating and classic! Add 3 lines of free and personalized engraving to each piece in your order!